HomeLet’s try the sweet treats in Seoul! Let’s try the sweet treats in Seoul! If you have a sweet tooth, you will surely like South Korea. Koreans love desserts so you can find a lot of desserts cafes in South Korea. In this post, let me talk about some dessert cafes in Seoul which offer sweet treats good for both your eyes and taste buds. 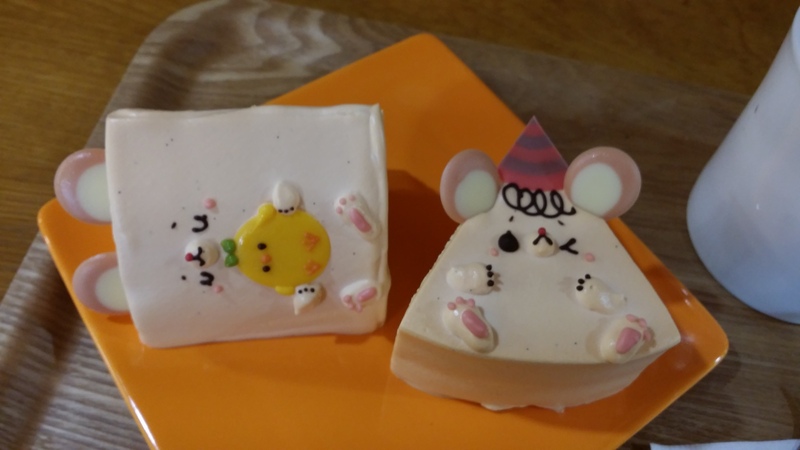 I like this cafe very much since you can find cute animal faces on tasty food and drinks like macarons, cakes and iced coffee. It’s a very small cafe but because of the lovely food and drinks, it is quite popular among the young Korean girls. The decorations of the cafe are also lovely and give me a warm feeling. 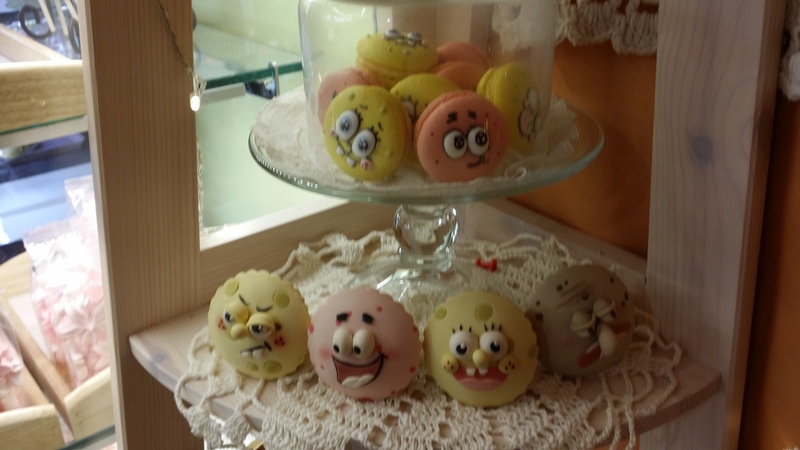 It is recommended that you go there early since usually most of the cakes and macarons are sold out in the afternoon. Cake costs about 6,500 won and drinks with cute decorations each costs about 6,000 won to 7,000 won. Please also note that this cafe opens from Wednesdays to Saturdays only. It is near Exit 7 of the Namseong subway station – go out from Exit 7, turn right at the first intersection, and then walk about 100m. In this cafe, you can find cupcakes with weird decorations like bloody finger, blood-shot eyeball, blood-stained knife, guts, bugs, skull, etc. There are drinks in different colours (like red, blue, yellow) served in transparent packs similar to those used for blood transfusion. This cafe is also full of horrible decorations – I think this is a must-go place for the Halloween. Cupcake costs about 4,000 won to 5,000 won and drinks each cost about 5,500 won. Watch this video for a snapshot of this cafe’s decorations and cupcakes. This cafe is within 5 minutes’ walk from Exit 2 of Noksapyeong subway station. One of the popular desserts offered by Sona is Oh! Chocolate (오! 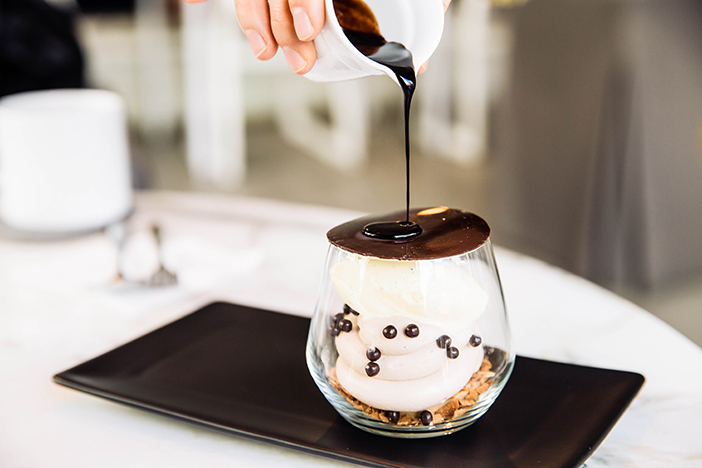 초콜릿) – before eating, hot chocolate syrup is poured over a thin chocolate cover which is then melted away, leading to the customers exclaiming “Oh!” There are also a number of beautiful and tasty desserts. Desserts cost about 12,000 won to 14,000 won each. You can look at the cafe’s menu by clicking this link. Please note that it is closed on Mondays. It is about 20-25 minutes’ walk from Exit 8 of the Sinsa subway station. This cafe is famous for the Rainbow Roll Cake which has strips of rainbow-like colours on the cake and earl grey cream filling. It is not only pretty but also very tasty – the mix of bread and cream is very soft and melts quickly in your mouth. The colours are made from 100% natural ingredients and not artificial pigments. The Rainbow Roll Cake is freshly made twice a day but sold out very quickly. The Rainbow Roll Cake costs about 12,000 won and drinks cost about 6,000 won to 7,000 won each. You can also try other desserts like the pies, tarts and aurora bread (which has many different colours like the aurora). This cafe is within 15 minutes’ walk from Exit 2 of Noksapyeong subway station. Next time you go to Seoul, please don’t forget to visit these dessert cafes to try their special desserts and have some “sweet” memories! Happy eating! Thank you for the article. Would it be possible to post some prices for the items featured? Thanks for your comments. I usually don’t post prices since they are subject to changes. That said, at your request, I have updated my blog post with some price information. Thanks for your comments. If you go to South Korea in summer, you should also try the dessert called “Bingsu” which is a shaved ice dessert with toppings like red beans, fruit, jelly bits, cereal flakes, ice cream, yogurt, and/or rice cakes. Bingsu is a very popular dessert in summer.